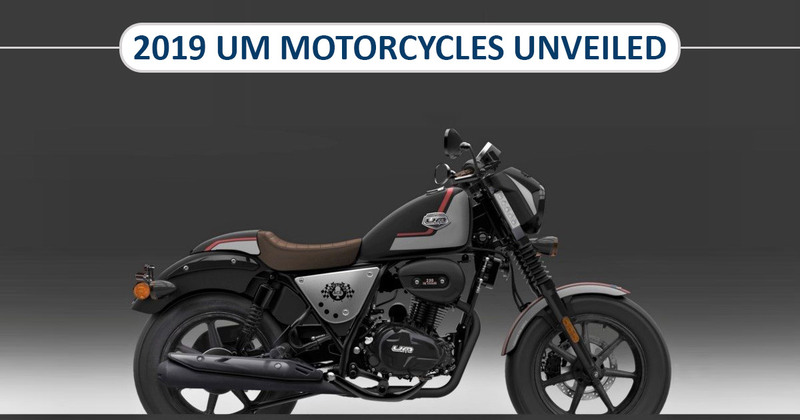 UM Motorcycles has showcased its product lineup for the 2019 model year at the recently passed 2018 EICMA show in Milan, Italy. 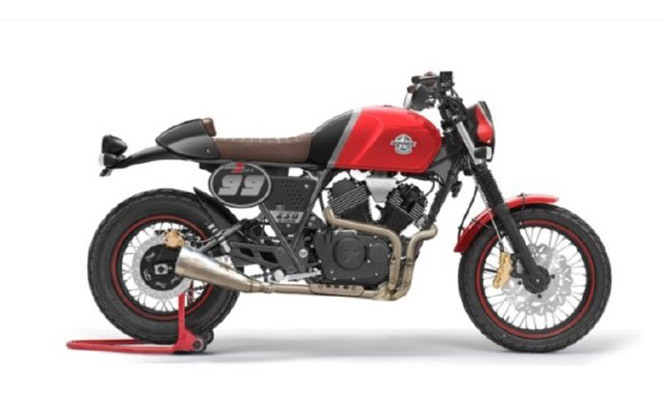 At the platform, there was the Scrambler Naked 250 V-twin, Café Racer 250 V-twin, Café Sport 250 V-twin along with the Renegade Vegas cruiser bike. Apparently, the Scrambler Naked 250 V-twin is adventure focused motorcycle with factors such as a taller riding stance, long seat, spoke wheels wrapped up with dual purpose tyres. While the options like the Café Sport and Café Racer are comparatively sportier owing to the presence of the single seat and rear cowl. Powering for all the three models will come from a similar 248.9cc, V-twin, air-cooled engine. Mated to a five-speed gearbox, the engine is capable of churning out the peak power of 18bhp at 8,000rpm along with 18.5Nm of torque at 8,000rpm. However, the suspension on three of the models is dissimilar at upfront while common at the rear, a monoshock. Upfront, the Scrambler Naked and Café Racer pack telescopic front forks while the Café Sport suspend over the upside-down forks. In order to control or handle the bikes, the braking bits are disc units at both ends which are in association with ABS as standard fitment. The Renegade Vegas Cruiser apart from all three models follows brand’s conventional design philosophy with modern touches. Here in India, the model features a 300cc, single-cylinder motor that develops bhp at 9.500rpm. The generated power is transmitted to the rear wheel via a coupled six-speed gearbox. While, the European market specific variant comes fitted with a 125cc, liquid-cooled, fuel-injected engine with 12 HP at 8000 rpm and 10 Nm at 8000 rpm. The engine is tuned like to offer power and torque delivery more at similar rpm than other bikes in segment. The engine comes associated with a 5-speed gearbox. Apparently, the model is similar to the India-spec model though receives a host of additions like different rear seat, smart fenders, modern-looking mirrors and several black components and blacked out treatment. Available only in black shade with red accents, the Europe-spec UM Renegade Vegas Edition gets telescopic fork wrapped up with rubber and twin hydraulic shocks at rear suspension. In its initial phase, all these models will be put on sale in the European market. Well, there is no information when will these models will hit the Indian dealerships. Rest the future will tell, Indian masses till then wait and watch.